A Wilson Company manufactured, "Official" National Football League, leather football. Presented personally to President Ford on a trip to Ohio on October 22, 1974. 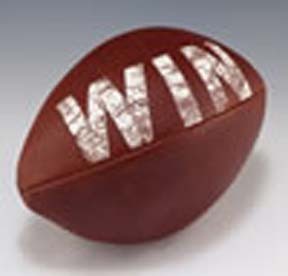 The football features the acronym WIN, Whip Inflation Now, painted on a side panel in bold white paint.